The sponsors of the Olympic games London 2012 - the open Olympic games ceremony is scheduled for this evening and there will be plenty of attention on this event. The Olympic games is by far the biggest sport event on the planet and for this reason it is the most expensive as well. Nothing else doesn't come even close to the budget for the Olympics. This year the event will take place in London, one of the most popular cities in the world. Some people would argue if it is a good idea to make event this big in such heavily urbanized area where traffic and accommodation can often cause huge problems. But the choice has been made a long time ago and all the facilities and equipment is ready for the Summer Olympics in 2012. Acer will provide most of the equipment for the Olympics in London and they will sponsor the event big time. As I already mentioned such an event costs a lot of money and because of the enormous media attention many manufacturers will compete for the best advertising spaces at the Olympics. My guess is that tech companies like Samsung, Panasonic, HP will be the biggest advertisers at London 2012 and they will spend the most money. As you've probably noticed Samsung sponsors many sport events around the world. Of course thousands of companies will take part in the advertising campaigns at the Olympics and that is one of the ways for the hosts of the event to gather some funds and cover part of the huge expenses for the Olympic games in London. And of course some of the biggest sponsors will be the car manufacturers who have the potential to pay the high advertising fees of the event. I hope the Olympics in London will happen without any serious issues and problems and that the events there will bring many positive feelings for sport enthusiasts around the world. 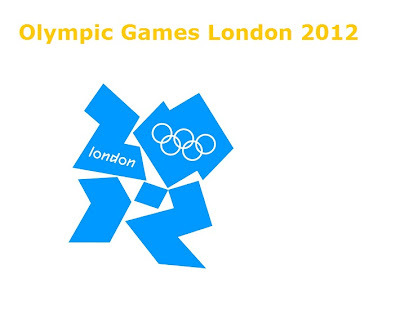 Enjoy the summer Olympics London 2012 and don't forget to practice your favorite sports as often as possible.